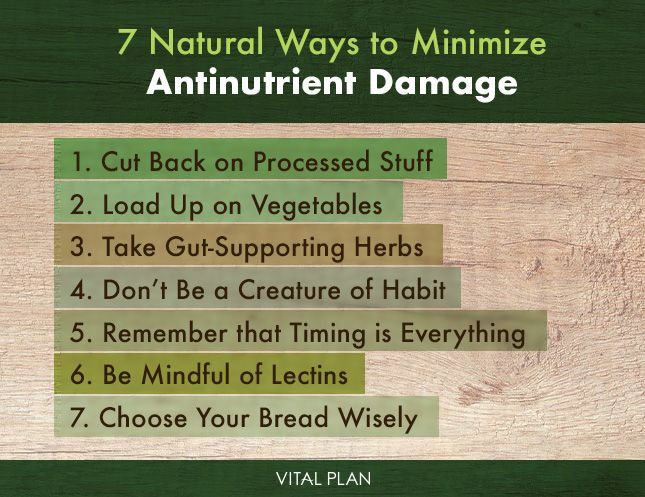 The term antinutrient sounds ominous, even scary — something you’d be smart to keep out of your diet. But the full story behind these compounds isn’t so cut and dry, especially considering they’re found in lots of foods, including many that are highly nutritious and offer significant benefits. For example, some antinutrients only cause problems if eaten in large quantities or when combined with other foods. Others may only be problematic for those with existing digestive issues or other health conditions or nutritional deficiencies. Meanwhile, some play both sides — they have both good and not-so-good qualities, and the key is finding the right balance. 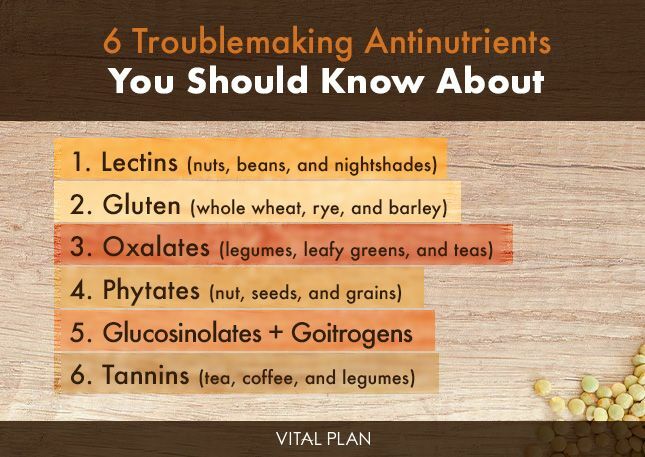 Regardless, now that antinutrients are garnering more attention in natural-health circles, it’s more important than ever to get the facts straight about what they do and don’t do, and whether you actually should avoid them or not. 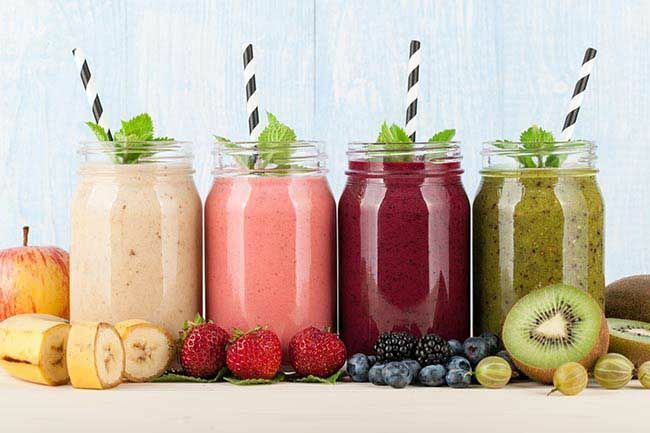 Pretty much what the term suggests: “Antinutrients oppose the normal absorption of nutrients in your digestive tract, or they may even poison cells if absorbed,” explains Dr. Bill Rawls, M.D., medical director of Vital Plan. For instance, several are known to bind to or otherwise interfere with your body’s ability to absorb minerals like calcium and iron. Certain antinutrients are also a plant’s way of protecting itself from animals that might otherwise come along and gobble up all the seeds before the plant could reproduce. The plants evolved so that eating its raw seeds makes animals (including humans) sick, explains Dr. Rawls. While all foods contain various components that could be considered antinutrients, experts have zeroed in on a handful of potential troublemakers and their main sources. 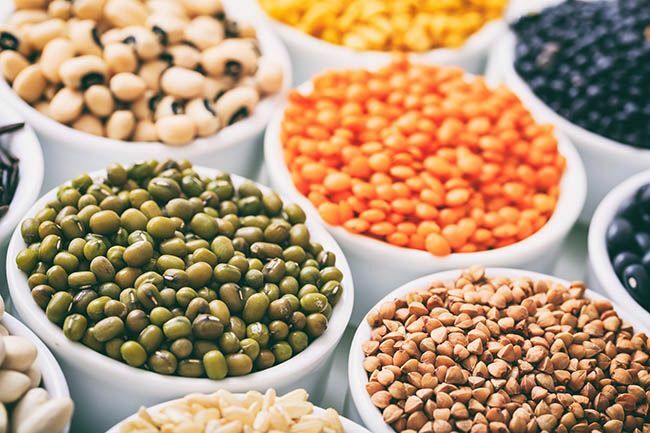 These plant proteins are most plentiful in raw beans (especially kidney and soy beans) and unprocessed wheat in amounts so concentrated that eating a handful of raw kidney beans, for example, could wreck your gut and poison you, Dr. Rawls says. Most lectins are destroyed during cooking, but some remain. They’re also found in nuts, nightshade vegetables like tomatoes and potatoes, and dairy from cows raised on corn and soybeans. Lectins are known to interfere with the absorption of calcium, iron, phosphorus, and zinc. They bind to cell membranes in the intestinal tract and, in large quantities, irritate the lining of the gut and potentially contribute to leaky gut, Dr. Rawls says. 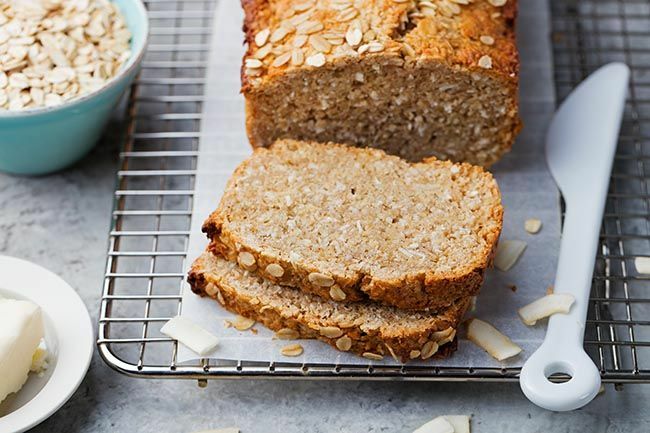 Whole-grain wheat, rye, and barley contain three basic layers: a fiber-rich outer layer (the bran), a nutrient-rich core (the germ), and a large starchy middle section made of carbohydrates and proteins (the endosperm). 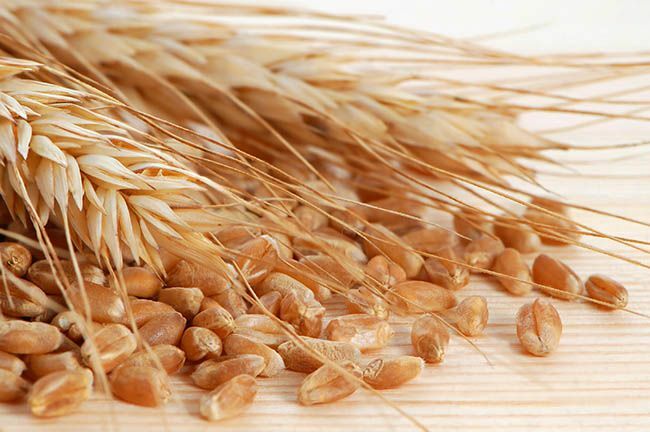 Gluten is concentrated in that endosperm, and it serves as a storage protein that sustains the plant. “But gluten is a foreign protein to the human gut,” Dr. Rawls says. In other words, it can be difficult to digest and may even irritate the gut or trigger a full-blown allergic reaction in some people who are sensitive to it. Reactions are more likely when your system gets large and continual influxes of gluten from a diet rich in processed carbs. 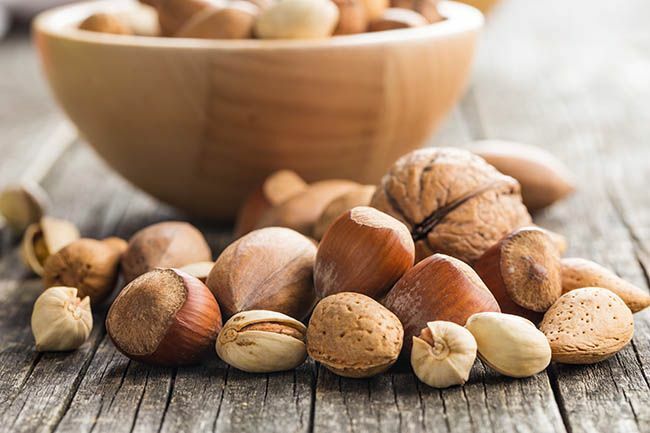 Found in high amounts in almonds, grains, legumes, nightshades, some leafy greens, and tea, oxalates can bind to calcium and potentially interfere with its uptake. But they’ve also been linked to a bigger issue. The hulls of nuts, seeds, and grains contain phytic acid, which stores phosphorus that plants use to help them grow. But in humans, phytates can reduce the body’s ability to absorb iron, zinc, magnesium, and calcium. Cruciferous veggies, soy, peanuts, and strawberries are the main sources of these compounds, which may mess with absorption of iodine and thus have the potential to contribute to thyroid problems. But, as with phytates, goitrogens shouldn’t be your biggest concern unless you’re already dealing with thyroid issues, Dr. Rawls says. 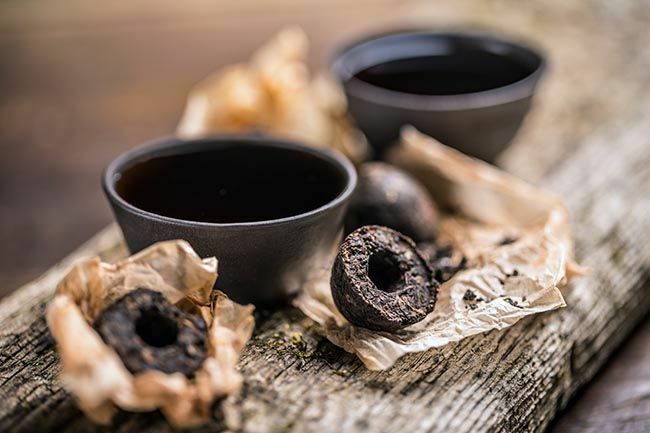 Tea is generally thought of as a kind of health tonic — and it can be one — but too much of the brew will overload your system with tannins. Also found in coffee and legumes, these antioxidant polyphenols are astringent, meaning they can dry out tissues, plus they can bind to and shrink proteins and interfere with the availability of iron for the body to absorb, according to the Journal of Pharmacognosy and Phytochemistry. 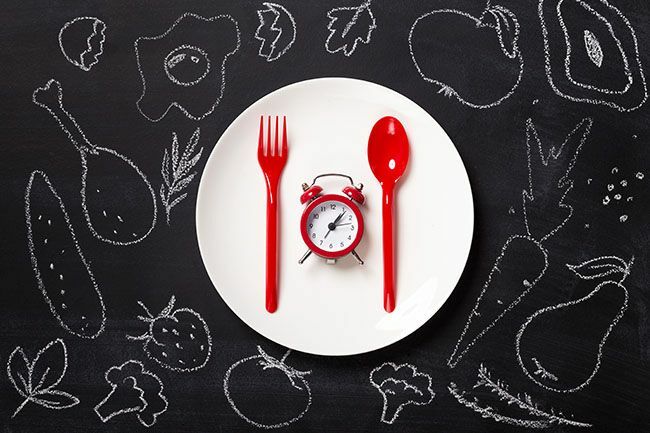 When Is It OK to Eat Antinutrients? You eat a balanced, varied diet. You mostly avoid processed foods and opt for grass-fed meat and dairy (versus that made from cows fed corn and soybeans). You don’t suffer from any regular GI or other symptoms. You don’t have any chronic conditions. What’s more, remember that many of the antinutrients themselves are antioxidants or have other health benefits. Lectins, for example, help reduce cholesterol and heart disease risk, and are even showing some promise for their cancer-fighting powers. But what if your health isn’t where you want it to be? The lining of your gut is meant to protect you, but many factors of modern life can cause it to erode and lead to problems. 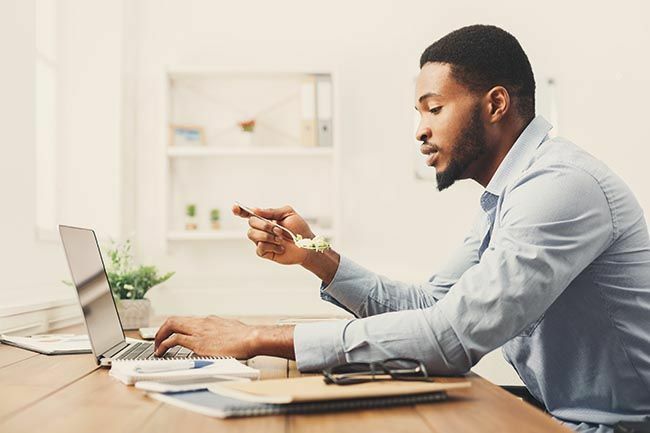 For example, if your gut barrier is compromised due to stress and/or a typical Western diet loaded with carbohydrates and processed foods, antinutrients can negatively impact your health, Dr. Rawls says. A poor gut barrier allows antinutrients to more easily pass through the gut and cause whole-body issues or exacerbate localized gut symptoms. The same holds true if you’re dealing with a chronic illness related to poor gut function. If you’re struggling with digestive symptoms or dealing with a chronic illness or the fallout of a leaky gut, temporarily eliminating foods that contain the highest amounts of known antinutrients may be necessary to get your digestion back on track. 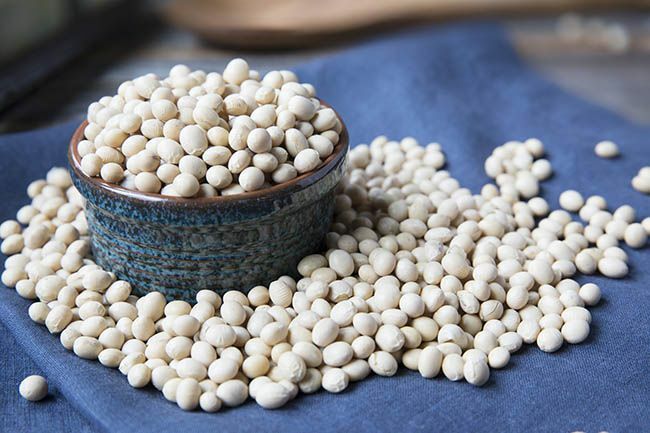 You may also need to cut out some other potential gut disruptors like dairy, soy, all grains except for white rice (the lectins and storage proteins in rice do not seem to be as damaging as those in other grains) and anything with chemical preservatives or artificial additives. 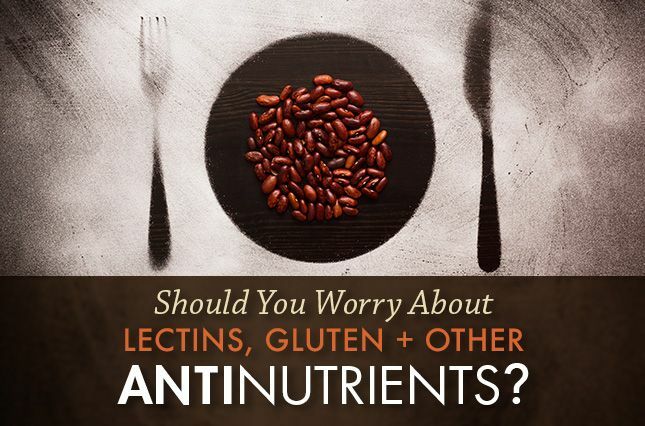 Regardless of your level of susceptibility to antinutrients, there are some general tips you can use to help minimize any potential effects from antinutrients — and still reap all the healthy benefits of foods like beans, nuts, and certain vegetables. 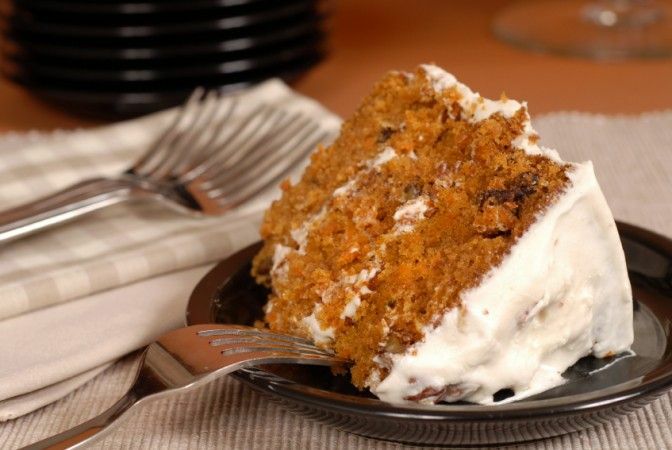 For starters, processed carbohydrates are a primary source of antinutrients like lectins and gluten. But it’s also important to note that excessive levels of carbohydrates in general can wreak their own havoc on your health, says Dr. Rawls. Overdoing your intake of carbs from processed food products derived from wheat, corn, and refined sugar can slow gastrointestinal motility, compromise the protective barrier of the stomach and intestine, and stimulate growth of bad bacteria and yeast, Dr. Rawls explains. And when absorbed into the bloodstream, excessive carbs disrupt hormones throughout the body, lower stress resistance, and poison cells. Similarly, oils that have been refined with high heat or chemicals (hydrogenated vegetable oils like soybean and corn) contain free radicals that damage cell membranes throughout the body. Fried foods similarly contain toxic free radicals and abnormal fats that disrupt cellular processes. Dr. Rawls best advice: Try to make the bulk of the food you buy at grocery stores label-free. In other words, choose fresh, whole foods like fruits, vegetables, and grass-fed dairy and lean meats with no labels or ones with only a few, recognizable ingredients on them. And minimize the processed and packaged stuff with long lists of ingredients you can’t pronounce. 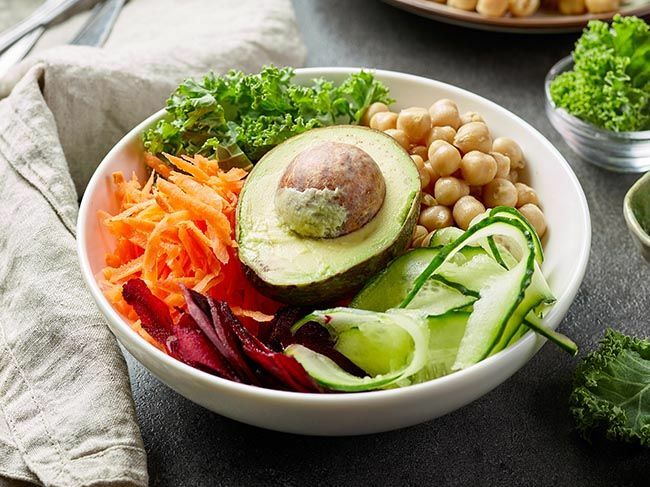 “Filling your diet with more than 50 percent vegetables is always at the top of my list of advice for everything,” Dr. Rawls says. Not only does produce provide your system with an all-it-can-eat buffet of vitamins and other healthy nutrients, veggies help maintain a healthy gut barrier, which allows it to better stand up to potential antinutrient disruptors. 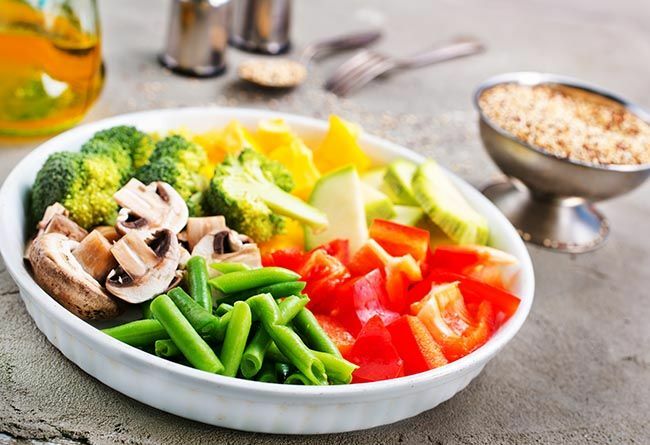 What’s more, if you’re eating more veggies than any other foods, you’re also naturally consuming fewer grains and processed foods that contain the most problematic antinutrients like gluten and lectins. Slippery Elm Bark: It contains mucilage, a soothing substance that helps ease an irritated gut. Slippery elm bark also supports the mucous membrane that prevents foreign substances (including antinutrients like lectins) from entering the bloodstream. 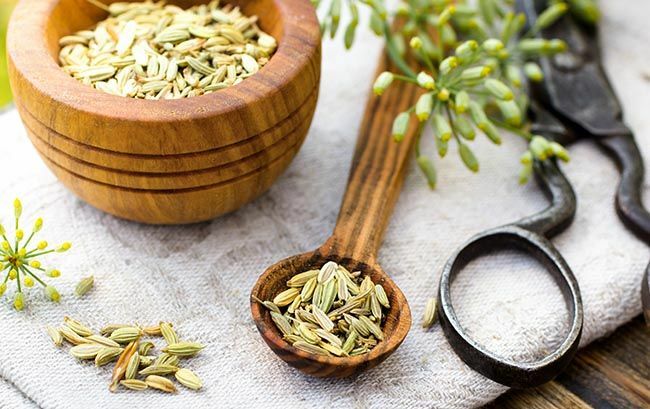 Berberine: A compound found in the stems, bark, roots, and rhizomes of a variety of herbs, berberine helps promote a healthy gut microbiome as well as soothe the intestines and support healthy bowel movements. Bitter Herbs: We have bitter receptors throughout our GI tract, and when they’re activated by bitter herbs and foods, it releases the saliva, enzymes, and bile we need to break down food. 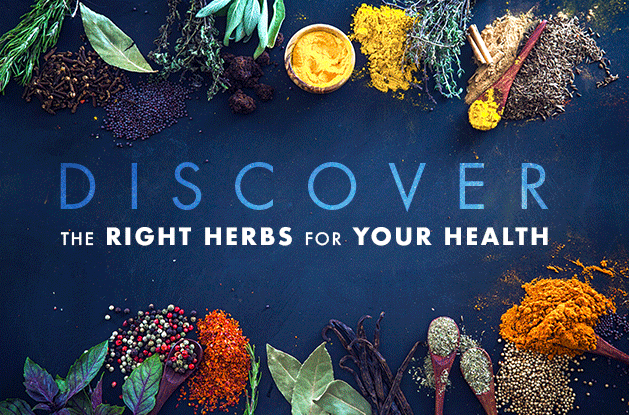 If your digestive health is at all compromised, taking aromatic bitters — bitter herb extracts in an alcohol base — before meals can help support normal digestion while you get your gut health back on track. Look for bitters with burdock, dandelion, and gentian root, as well as fennel seed and ginger. When you eat a range of different fresh foods, you both take in a smorgasbord of good-for-you nutrients and prevent an overload on any one antinutrient. For example, instead of drinking tea throughout the day, stick to only one or two cups and then switch to fruit-infused water or a smoothie to get tea’s antioxidants while limiting tannins. Similarly, avoid eating bread and beans every day; instead, fill your plate with more fresh vegetables and opt for other sources of vegetarian fiber and protein like tofu or nuts. “We’re living in the greatest age of food that there’s ever been; we’ve got all this fresh food and diversity, now’s the time to take advantage of it,” Dr. Rawls says. If you have osteoporosis or are at risk because of low calcium, avoid eating food sources of antinutrients with high-calcium foods. Likewise, drink tea on its own, rather than with meals, so the tannins can’t block calcium absorption. If you’re anemic, avoid foods high in phytate while eating sources of iron. Skip foods high in oxalates and goitrogens if you have a thyroid disorder or arthritis. 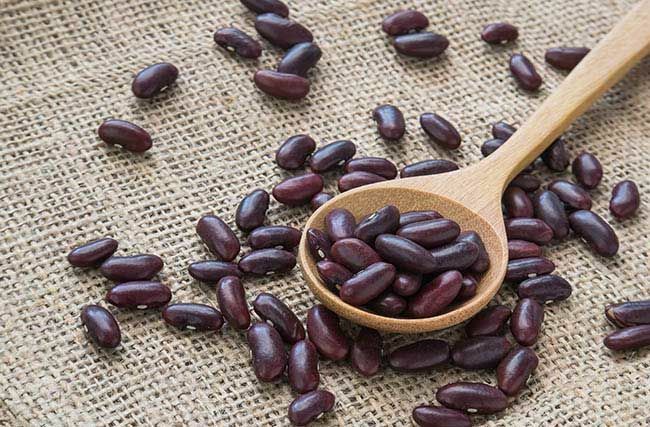 Meanwhile, soaking and thoroughly cooking beans will reduce lectin content, and sprouted grains tend to have lower levels of antinutrients than traditional ones. Remember, if your gut is healthy, you don’t need to fear these proteins. Besides, they’re in just about everything. “You can’t avoid lectins entirely and still eat vegetables — all vegetables contain at least some,” Dr. Rawls says. Legumes contain them in the highest quantities (but cooking destroys most). What’s more, you wouldn’t necessarily want to totally avoid beans and lentils if you don’t have to. “They contain a lot of good vitamins and fiber, and do good things for our health,” Dr. Rawls says. Specifically, they can lower cholesterol, and studies have linked legume consumption to a lower risk of heart disease and all-cause mortality. Instead, be mindful to make sure you cook beans and grains thoroughly, and that you’re not overloading your system with them at every meal. As with lectins, you don’t necessarily need to completely ban gluten if you’re generally healthy, you don’t struggle with digestive symptoms, and you choose healthy whole grains when you do eat them. Instead, simply treat good-quality, rustic breads like a special treat that you enjoy once in a while. What you should ban: Wheat that’s been processed into squishy, starchy bread and sugary pastries. “If you decide that yes, starchy bread and pastries are going to be a regular part of your diet, you’re essentially making the decision to be overweight and unhealthy,” Dr. Rawls says. Indeed, a new study published in The Lancet recently reported that poor diets now kill more people than tobacco. It found that 11 million people die each year around the world because they’re filling their plates with fried, processed, salty, and high-carb, starchy foods, and not eating enough vegetables, fruit, and healthy whole grains. Try to reduce your overall grain and carb intake by replacing them with veggies, recommends Dr. Rawls. And when you do eat grains, choose gluten-free ones like rice, oatmeal, and quinoa. Whatever you do, don’t let the hype around antinutrients scare you away from healthy, fresh, and whole foods. Because the best thing you can do for your health is feed your cells a wide range of nutrients found in a variety of vegetables and other healthy, plant-based foods. Doing so usually counters any potential problems from antinutrients — as well as lots of other potential health issues. 1. De Punder, Karin and Pruimboom, Leo. “The dietary intake of wheat and other cereal grains and their role in inflammation.” Nutrients. 2013 Mar; 5(3): 771–787. 2. Schlemmer, U. et al. 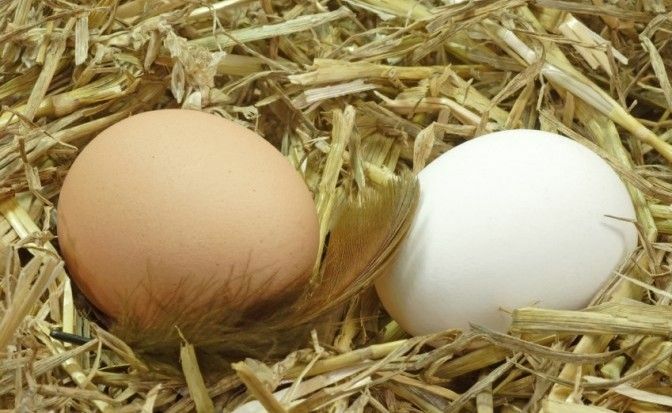 “Phytate in foods and significance for humans: food sources, intake, processing, bioavailability, protective role and analysis.” Molecular Nutrition & Food Research. 2009 Sep;53 Suppl 2:S330-75. 3. Royston, KJ and Tollefsbol, TO. “The epigenetic impact of cruciferous vegetables on cancer prevention.” Current Pharmacology Reports. 2015 Feb 1;1(1):46-51. 4. Ashok, Praveen Kumar and Upadhyaya, Kumud. “Tannins are astringent.” Journal of Pharmacognosy and Phytochemistry. 2012; 1(3): 45-50. 5. Liu Z. et al. “Could plant lectins become promising anti-tumour drugs for causing autophagic cell death?” Cell Proliferation. 2013 Oct;46(5):509-15. 6. Li, Hua et al. “Legume consumption and all-cause and cardiovascular disease mortality.” Biomed Research International. 2017; 2017: 8450618. 7. Afshin, Ashkan et al. “Health effects of dietary risks in 195 countries, 1990-2017: a systematic analysis for the Global Burden of Disease Study 2017.” The Lancet. 2019 Apr 3. pii: S0140-6736(19)30041-8.